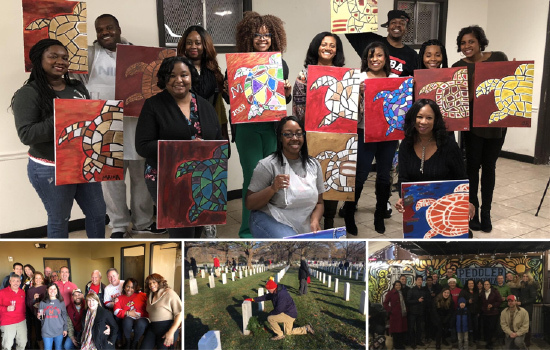 This holiday season, Terps celebrated their Maryland pride near and far through community, professional and social gatherings. No matter where you go in life, always, always Stay Fearless. Happy New Year from the University of Maryland Alumni Association! This year, there are many ways to get involved and spread Terp pride. Discover the highlights of Reims, France. Visit the Notre Dame Cathedral, which hosted 1,000 years of French coronations. See the Abbey of Saint-Remí and the Palace of Tau. There’s no single supplement for solo travelers! Space is filling up quickly. Call today to secure your room: 301.405.7938. 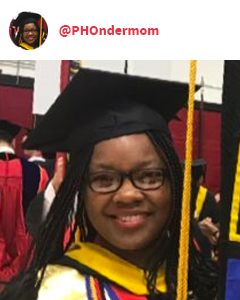 Five UMD Alumni Make Forbes 2018 "30 Under 30" List ? University of Maryland Named a Top College for LGBTQ Students ? Quantum Computing Moves Forward with Record Setting UMD-NIST 53 Qubit Quantum Simulator ? Washington Business Journal: UMD's Discovery District to Get Innovation Lab in Partnership with Fortune 500 Company ? What’s the longest time the university has been closed for snow? The first three Terps to guess the correct answer will win a 2018 University of Maryland wall calendar. 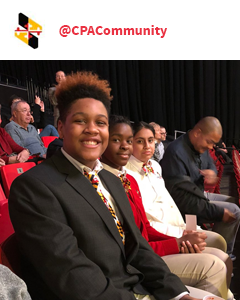 CPA students inspired by UMD commencement this evening.